Remember Google Plus? That was a cool time right? Back in July, in Plus' glory days, it was all the rage with tech nerds and marketer types. It seemed that after many failed attempts at entering the social world, Google had finally found something. There were Circles, Hangouts, and Huddles for the mobile application. It was cleaner, less junky, and overall less noise. Google Plus gave everyone with crowded streams and way too many connections a second chance for a cleaner, less overwhelming online social life. July was a good time to be a "Plusser." The bad news is that growth and time on the site peaked in mid-July according to this Mashable report. Looks like Google+ is on a downward spiral right? Not necessarily. If you were to get on Plus now, you would see tumbleweeds in comparison to the flurry of activity there was in July. The postings are sparse at this point. This isn't necessarily a bad thing. The posts are few but the comment sections are richer. I have great conversations on Twitter but the threaded discussions on G+ have been more in-depth. I feel like now that if I have a genuine curiosity about something (mainly tech related), I can get more from my G+ circles. There are also numerous opportunities for G+ to be a heavy hitter digitally. I guest posted on Vitrue's blog yesterday about how Google+ could be a powerhouse in the B2B marketing sphere...something Facebook hasn't lended itself as well to IMHO. Hangouts are a gateway for more meaningful customer service interactions, more efficient quick and dirty focus groups, and other 'thought leadership' style discussions. If G+ throws in more seamless Docs integration like they do with YouTube (or what Salesforce does with documents in Chatter), it could have a much heavier hand. One thing hurting Google+ is that it looks and acts a lot like Facebook. There isn't a heck of a lot in the way of product differentiators between the two services outside the black bar on the top of my Gmail and Docs screens that give me G+ notifications. But that could be a good thing since G+ is set up in a way that people are used to connecting with each other on a social network. For now, the biggest thing hurting Google+ is the lack of updates. There hasn't been a lot in the way of impactful changes outside of the +1 button since it rolled out. They still haven't given out brand pages, haven't opened up their API and still have it in invite-only. Activity peaked on the site in July because nothing new was happening in August (and now September). Most people got tired of G+ and migrated back to what they were most comfortable: Facebook. After all, that's where all their friends were. For me, I still personally get a lot of value out of Google+. I like the smaller niche conversations happening on it right now. Where it will be six months from now is anybody's guess. For anyone outside of the Googleplex, all we have at this point is educated speculation. 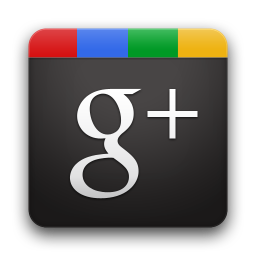 What do you think the future holds for Google Plus? On a side note, if you want to connect with me on Google Plus, click here for my profile link.